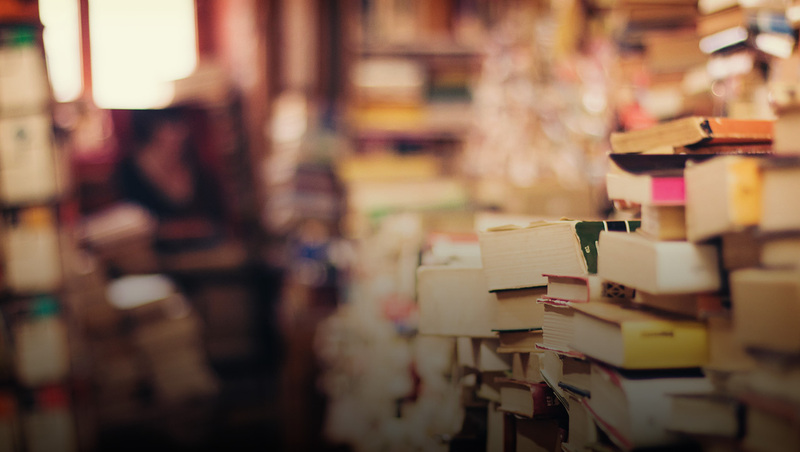 One of the best, and cheapest, investments you can make is to buy a good book. Entertaining and educational, a book can provide hours of relaxation or satiate a curiosity of how to be more effective. The books below address the latter and are the best five business books I have read this year. Brad Pitt started an organisation called ‘Make It Right’ after Hurricane Katrina struck New Orleans in 2005. It’s essential intent was “to build 150 affordable, green, storm resistant homes for families living in the 9th Ward”. This definitive objective provided a clarity of purpose. Such a clarity of purpose enables an organisation to accurately measure if an activity or effort will make the highest possible contribution towards their primary goal. Armed with this information decisions are easier to make. This is part of essentialism; discerning the vital few from the trivial many. This book’s author, Greg Mckeown, discusses making choices from inevitable trade-offs and finding what really matters. The aim is to clarify the primary purpose and saying no to anything that does not expedite it’s success. Saying no prevents an individual from committing to menial tasks and relieves cognitive load. The later chapters of the book are some of the best. The power of small wins, discussed in Progress considers achievement as a strong motivational factor; a theme supported in So Good They Cant Ignore you. Flow talks about building successful outcomes into the tasks that make up a daily routine, allowing essential undertakings to be performed on autopilot. 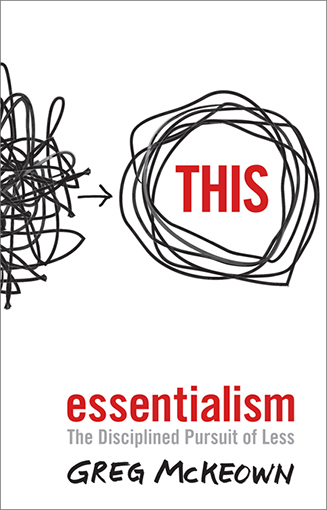 Often the default answer to constant requests are one of the three assumptions: “I have to”, “It’s all important”, and “I can do both.” Essentialism seeks to conquer these incorrect assumptions and provide mechanisms for handling them. “There is nothing so useless as doing efficiently that which should not be done at all.” – Peter Drucker. The Lean Startup labours this point. 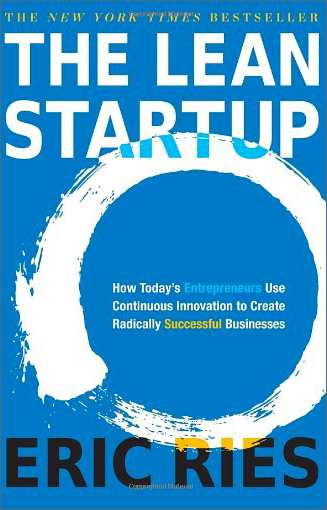 It has become the ‘start up handbook’; adopted by the vast majority of tech startups as well as entrepreneurs. This book goes deep into how to effectively use the build, measure, learn feedback loop. Lean development owes much of it’s thinking to Tachii Ohno’s lean manufacturing Model first developed at the Toyota Motor Corporation. This is pivotal in finding ‘why’ things do or do not work and adapting quickly. Validating critical assumptions by testing them with a Minimum Viable Products (an MVP) informs decision making when deciding to pivot or persevere. The chapters on working in small batches are particularly useful. Many projects have run on waterfall methodology with minimal feedback. Small batches remove the risk of wasting time providing features that will not be adopted by users. Do you know your business’s potential engines for growth? Do you what they could be? Do you know which of your efforts are value-creating and which are wasteful? If not, read this book, now. All our services revolve around the concept’s discussed in this book for the very simple reason that they work. “1. Do consumers recognize that they have the problem you are trying to solve? 2. If there was a solution, would they buy it? 3. Would they buy it from us? Steve Jobs’ commencement speech at Stanford in 2005 embraced the concept of doing what you love. “..the only way to do great work is to love what you do”. This book debunks that theory, and that’s just the start. The counter approach to Jobs’ passion mindset is the craftsmen mindset. This mindset focuses on simply doing good work. It is in doing a good job of the work in front of you that skills will come. The delay of immediate gratification is a necessary challenge that causes resistance that must be overcome to become good. Stephen Pressfield’s classic book the War of Art defines ‘resistance’ at length and could have easily made it onto this list. Cal Newport studies the journeys of a biologist, a professional guitarist and a radio host and the deliberate practice they employ to be so good they can’t be ignored. The title of the book is taken from a Steve Martin interview where he explained that it took years of hard work crafting his skills to make him good. Defining ‘good work’ relies on clarity of purpose – a concept every business thought leader from Tony Robbins to Greg Mckeown (below) is acutely aware of. How do people work in a job they love? They put aside the question of whether the job is their true passion, and instead focus on becoming so good they can’t be ignored. To quit your job and follow your passion without adequate career capital in that field is foolish. 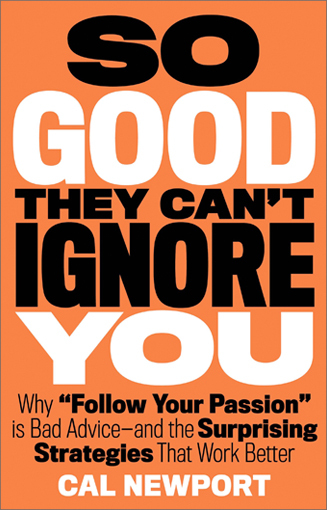 Thankfully, this book does nothing to debunk Jobs’ “Stay Hungry. Stay Foolish” mandate. The concept of the ‘adjacent space’ and how it generates the next big ideas is a consideration for any company striving for innovation. 4. Influence – Robert B. Cialdini. Hare Krishnas have been offering the ‘free gift’ of a gladiolus to passers-by for centuries. This apparent act of good will is enacting the power of reciprocity. It’s intent is to create a sense of obligation in the person receiving the floral ‘gift’ in order to illicit reciprocation in the form of a donation. 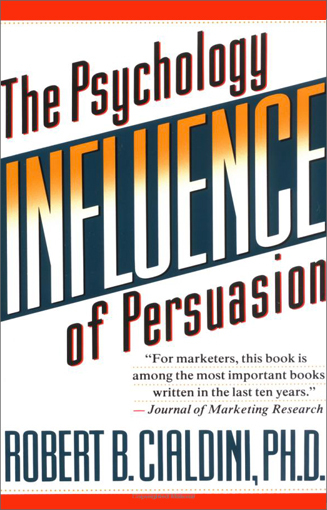 Robert Caldini’s classic book outlines seven powers of influence that can be used to persuade people, reciprocity is one of them. On the surface it could appear to be a shady how to get sales book but it is much more than that. It explains the seven behavioural aspects and how to use them to your advantage. Importantly, it also explains how to spot them being used ‘against’ you. Once you realise an act of persuasion is in progress you are then armed to question whether it is influencing your decision making process. Once aware of these principles it is difficult not to notice them everywhere and consider how they can be of use. Have you ever heard of Burbn? It was a location-based social network that had an optional photo feature. It received funding and had a core user group. However, it was not until the founders looked at what users were adopting that they changed their offering. They retooled and became Instagram. They attracted 100,000 users within one week and had sold to Facebook for a billion dollars eighteen months later. Instagram is only one of the many successful startups that employed growth hacking. 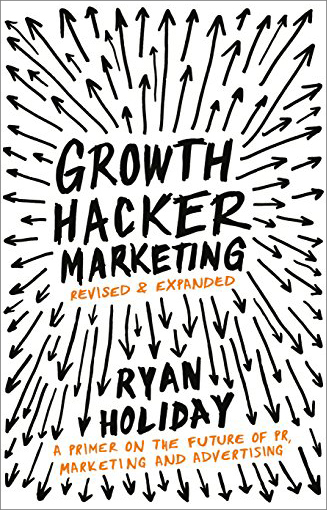 Growth hacking involves finding out who and where your users are. It uses data to set metrics and define ROI. Traditional marketing is dead. The idea of spending time building something and then trying to sell it is no longer effective. The amount of validated data that is readily available, or at least attainable, means it is possible to build for a need rather than selling a need. Questioning every critical assumption is pivotal to creating a product market fit as supported in The Lean Startup. The book explains how to obtain that product market fit. Using feedback and metrics to get the users and the product in sync. Defining metrics is crucial in validating data. This informs the feedback loops as a product is developed. One of Facebook’s first metrics was that users who added seven friends in ten days were most engaged, so that’s what they designed features and campaigns to drive. At Dropbox, the metric was dragging at least one file into the Dropbox folder, not the act of creating an account. The stories of the growth of the Dropbox waiting list, the pivot of Airbnb, the viral growth of Hotmail and the engagement marketing of Pinterest are fascinating as well as useful. This is a short book and the 100 or so pages are packed with valuable tips. Ryan Holiday’s books are brilliant. He has recently released Ego is the Enemy and his third book The Obstacle is the Way is a ‘quake’ book and my favourite. All of these books have their own strengths and I recommend re-reading them all. An interesting observation, although not a surprising one, is that each book values and promotes honest feedback. Whether it be personal or metric driven. This list could be a lot longer. Five more books that challenged for a spot are Zero to One by Peter Thiel, The Four Hour Work Week by Tim Ferriss (Tim’s podcast is the number one Business podcast on iTunes), Bold by Peter Diamandis, Steven Pressfield’s The War of Art and The Personal MBA by Josh Kaufman. If you get a chance to pick up any of these they are well worth the read.